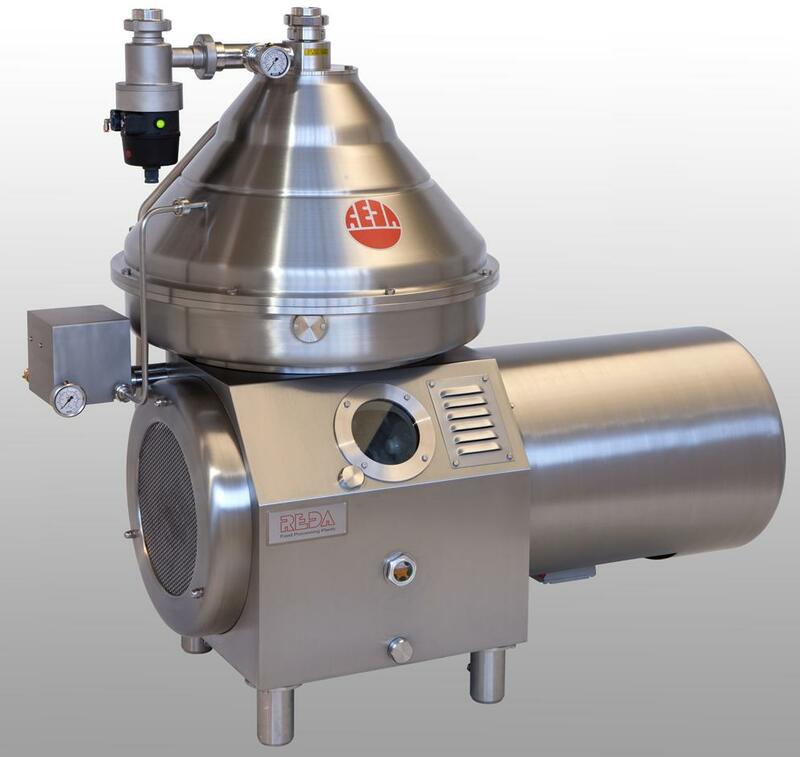 Milk clarifiers | Reda s.p.a.
REDA centrifuges of RE-P serie are specifically designed to clean raw milk (cow, sheep, goat, etc.) and whey. These separators are specially built for dairy applications and match very high bowl speeds for the best performances in separation of solid particles with very small diameters (dirty, spores, bacterias, etc). Standard design of these separators provides the product feeding under pressure by a soft inflow system. Then the product is accellerated to separation speed without damage being caused to any of the fat globules. The wide working surface, the high spinning speed and the extremely fast sludge expulsion lead to maximum cleaning efficiency. The clarified product exits under pressure, therefore no recovery pump is necessary. The range of process capacity goes from minimum 3000 l/h to maximum 35,000 l/h.